Motivated by Molly Maid’s call to action at this year’s convention, our office, Molly Maid of Park Cities, McKinney, Frisco and Allen, has recently reached out to begin our support for the fight against domestic violence. Participating in the Ms. Molly Foundation has been one of our goals since opening our doors two years ago. 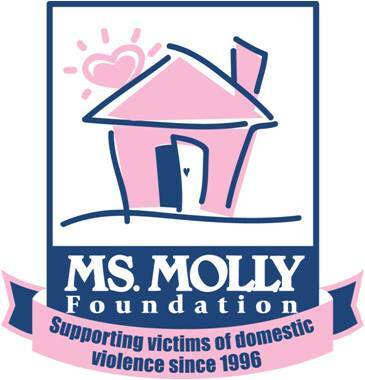 For me, the Ms. Molly Foundation was one of the deciding factors for my investment in Molly Maid. Ms. Molly gives franchisees a way to give back to the community in a way that also happens to fit with the concept of the business. Although participation was a goal early on, we knew when we opened our doors that it was important to first establish a strong base for our business. Before trying to reach out to a local shelter, we had to be profitable and the business had to be on good, solid ground. We feel we are now at a point where we can take on this commitment and we are entering the next stage of our business’ evolution. I must admit that we are fortunate that our home, Dallas, already has a first-class organization in place in the form of The Genesis Women’s Shelter. Genesis services the greater Dallas area with programs from crisis intervention and counseling to short- and long-term housing options as well as educational programs to raise community awareness. Genesis’ success is illustrated by a recent fundraiser featuring keynote speaker Dr. Condoleezza Rice and a surprise visit by President George W. Bush. As you can imagine, the event was a great success. As with any nonprofit, however, there is always a need for more. We met with Genesis to determine how we might help. In our initial meeting I found out that in 2009 Genesis covered $1 million of its operating budget through the sale of lightly used clothing at its thrift shop. Generating $1 million by selling items for $5 to $10 apiece means there is a lot of support in the community! Relying on past Molly Maid experiences and after hearing about their thrift store, we decided to do a clothing drive with our customers. Our drive will take place in August and, although we are not sure how well it will be received, I am sure it will only be the starting point of a much larger relationship between our two organizations. Don Dillon is the owner of Molly Maid of Park Cities, McKinney, Frisco and Allen, 2828 Forest Lane, Suite 2270, Dallas, TX 75234 972-247-8003 providing cleaning services to Park Cities, TX. Each maid services team comprises bonded, insured, licensed and uniformed housekeepers who are regularly supervised. Click here to request service in your area.